To celebrate the Bicentenary of Lord's Cricket Ground, Territory's team of 3D artists, animators, and developers. 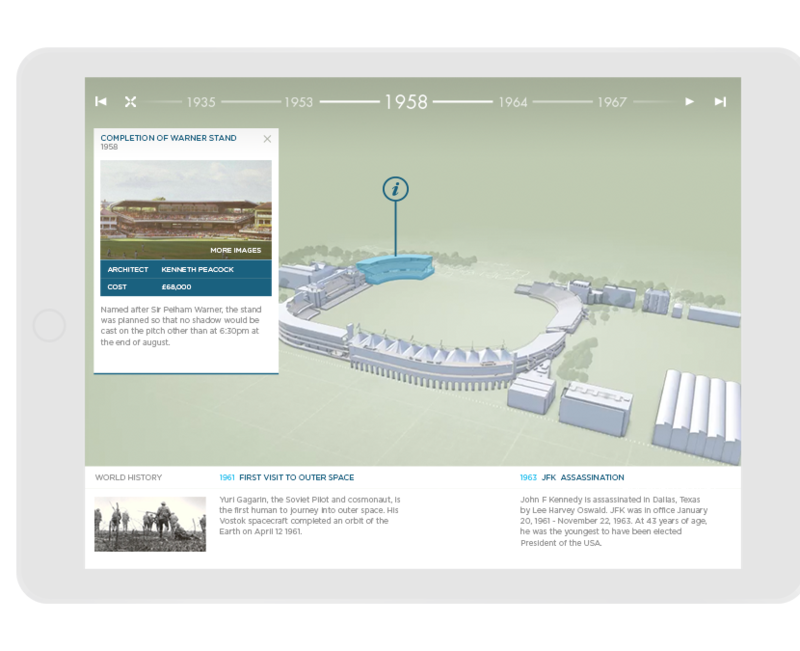 To celebrate the Bicentenary of Lord’s Cricket Ground, Territory’s team of 3D artists, animators, and developers have created an interactive timeline that explores the architectural heritage of the ground in 3D. Beginning in 1814, the timeline provides an overview of the Ground’s various stages of growth and change, reflecting the architectural periods that have contributed to the Club’s evolution. Some of the most interesting buildings no longer exist, such as the previous Tavern and Hotel, which doubled as an entrance to the ground, and is remembered today by the Tavern Stand. 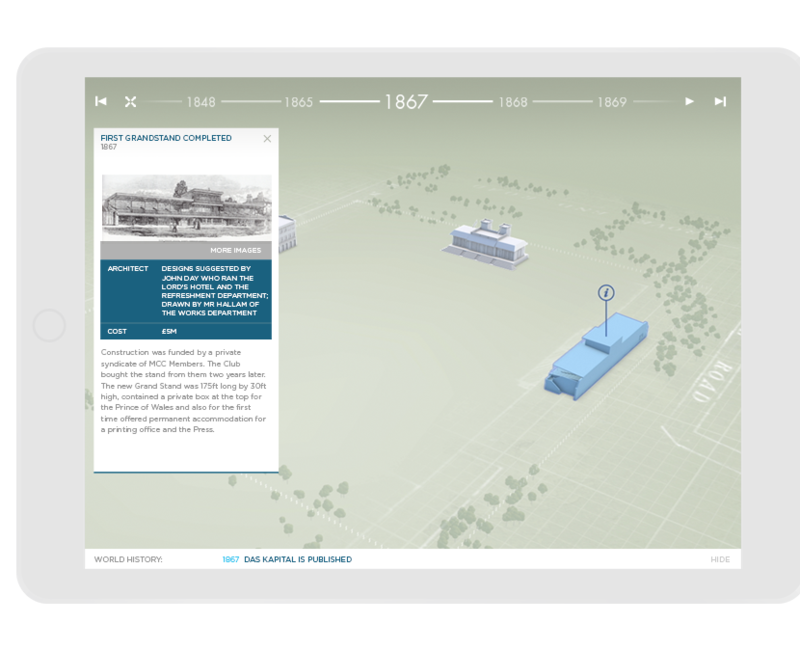 We created a full screen experience allowing users to travel through 200 years of the the ground’s evolution. Users could play the sequence or scrub through the timeline and select building to bring up an info panel. We also delivered the interactive experience on a large touchscreen for the bicentennial event held in the grounds. The installation was so successful it now has a permanent place in the library. It was very important that the timeline experience worked across all devices and was viewable fullscreen on a tablet. We’re absolutely delighted with the 3D model of Lord’s. To see the entire history of this fantastic ground summarised so succinctly and entertainingly is incredible and a brilliant way to mark the bicentenary.